Verizon is currently rolling out the LG G3 Android Marshmallow update in the US. Find out the latest LG G3 Android update news below in the highlighted section, and keep an eye on the update table below to see how the major carriers are progressing with the update. The LG G3 Android Marshmallow update is now rolling out North America. A reddit user uploaded a screenshot that confirms Verizon has started to make the update available to its customers, bringing the device to software version VS98546A. The download comes in at 788.6 MB and you should be notified when it becomes available. If you're eager, you can head to Settings > About phone > Update center > Software update and hit Check now for update to see if it's ready. Before installing the new version, make sure your device has at least 50 percent charge. There is no word from the other carriers just yet, but their updates can't be far behind. Let us know in the comments what you think of LG's Marshmallow interface. T-Mobile customers currently find their LG G3 devices on software version D85120e, which is Android 5.0.1. The last update was a security patch for the stagefright exploit. The last update to arrive for AT&T customers took the device up to Android 5.0.1 Lollipop and was primarily issued to address the stagefright security flaw. Sprint's last major LG G3 update arrived on November 20 and contained the November security patch, along with a few minor tweaks and enhancements. It left the device on Android 5.0.1 Lollipop, software version LS990ZVC. Prior to that, a stagefright security update was issued. We'll keep you up to date with the status of the LG G3 Android updates as we learn more. 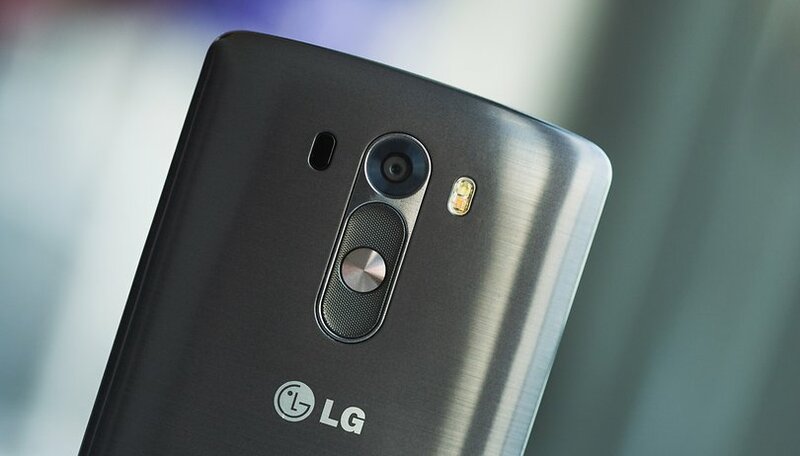 Be sure to check out our LG G3 problems and solutions article if you're having any issues. I have a G3 D850 Gold. It is an unlocked international version. It's still on 4.4.2; after contacting LG I'm still not sure if I'll ever see a newer version of Android. I've gone under settings to try to start the OTA (FOTA) but it says nothing is available. Anyone have any guesses? Depends on your country/provider...mine is UK/3 and they updated my G3 D850 about 3 months ago to 5.0 and it works super duper! Mine is the 16gb device w 32 gb sd card, & still have 14 gb free. Maybe you have rooted phone? Did this update, and it deleted ALL my photos. NOT IMPRESSED WHAT SO EVER!!!! DO NOT DO THIS UPDATE!!!!!!!!!!!!!!!!!! I DID THIS UPDATE AND NOW MY FREAKING LG G3 WONT EVEN RECOGNIZE THE NETWORK. SINCE 10AM THIS MORNING I HAVE BEEN ON THE PHONE AND IN VERIZON AND CALLING LG. NO ONE CAN HELP ME. I HAVE TO BUY A NEW PHONE BECAUSE OF A STUPID UPDATE. I HAVE TOO MUCH ON THE PHONE TO DO A FACTORY RESET. IF YOU DO INSTALL THIS MESS, DO IT AT YOUR OWN RISK BECAUSE IT IS A RISK!!!!!!!!!! NEW SIM CARDS HAVE BEEN PUT IN, POWERED ON AND OFF, NETWORK SETTINGS RESET...YOU NAME IT. NOTHING. I WONT EVER BUY ANOTHER LG, I AM SCARED TO!